A family business set up in 1974 by Benny Briody and his wife, Bríd, the name Briody has been synonymous with sleep—the kind of deep, energizing sleep from which you awaken refreshed and ready for the day. The company is now run by their daughter Bridget and sons, Martin, Brendan and David. 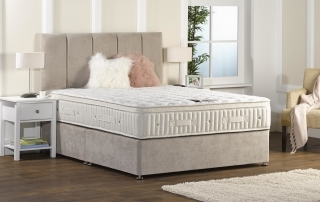 The tradition of handmade bedding and furniture continues at the plants in Ballinrink using the latest in modern technology ensuring affordability never compromises quality. 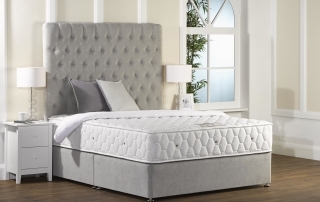 It’s hard to believe that a national brand such as Briody originated in the small hinterland of Ballinrink, just outside of Oldcastle in Co. Meath way back in 1974 manufacturing 30 Beds a week with a staff of 3. Today at Briody, we manufacture upto 1000 Beds a week with a production staff of over 85. 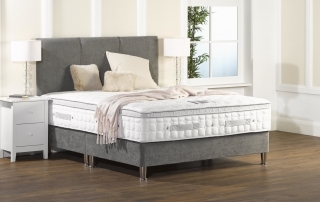 Briody invests more time and money on product development than any other bed manufacturer, utilising our state-of-the-art facilities to develop new and exciting Sleep Sets each year. 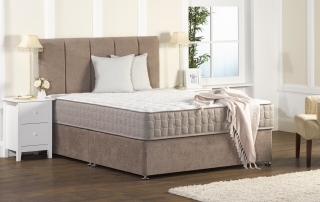 Briody, as distinguished from most of its competitors, also manufactures many of the important component parts that are used inside the mattress. At Briody we are constantly producing new and innovative products by means of extensive research and development, so that we can bring the latest innovations to our customers. 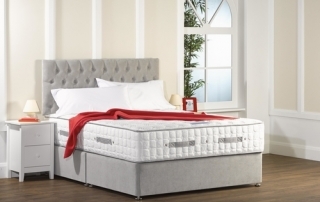 At Briody, we manufacture most bedding to order and have adopted “just in time” production techniques in our manufacturing process to more efficiently serve our dealers’ and customers’ needs. Most bedding orders are scheduled, produced and shipped to retail warehouses within 72 hours of receipt.